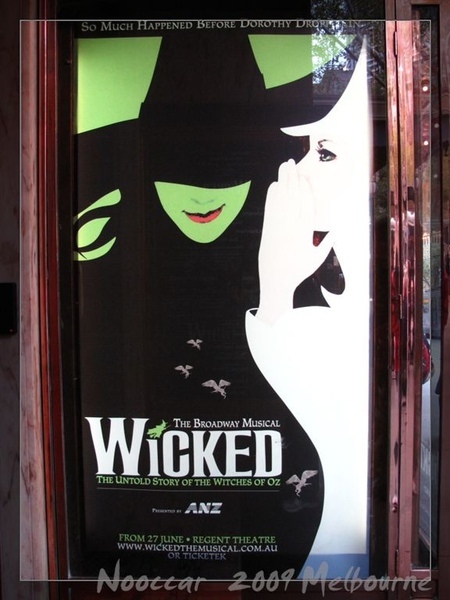 This famous Broadway Musical has been advertised in town for ages...Well...sice last July at least. 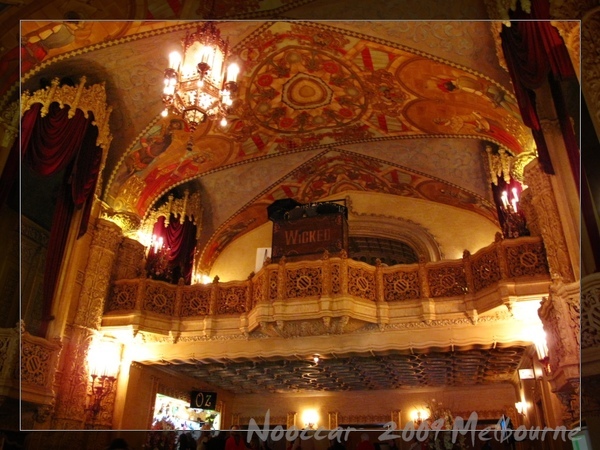 Today, I finally got chance to enjoy this fantastic show with the best seat for just $30 (original $120)! Why? 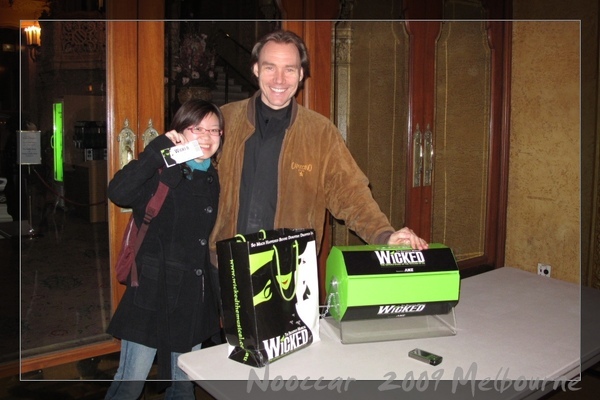 Because I won the "WICKED Lottery"!! 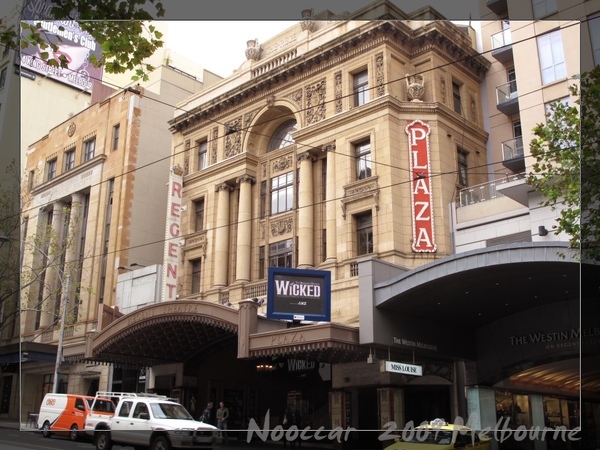 WICKED is presented in Melbourne in the Regent Theatre on Collins St. 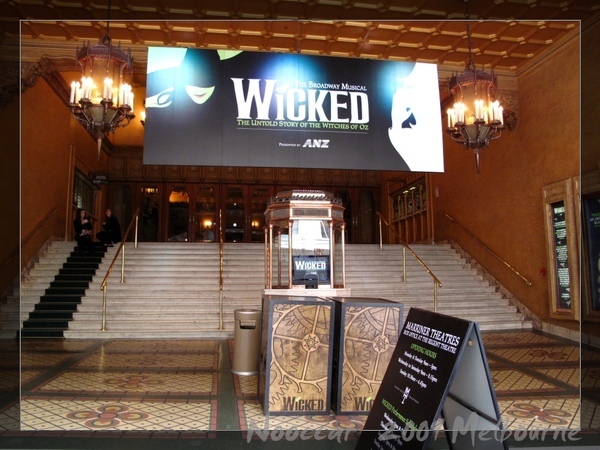 The "WICKED Lottery" provides 19 AAA seat tickets for lucky audiences in each performance. 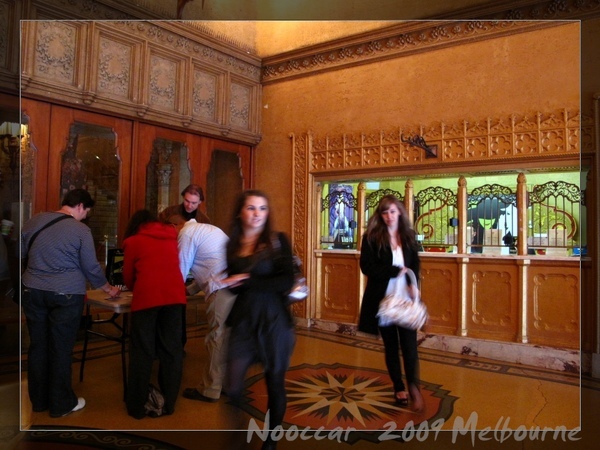 We arrived 2.5 hrs prior to the musical commence. 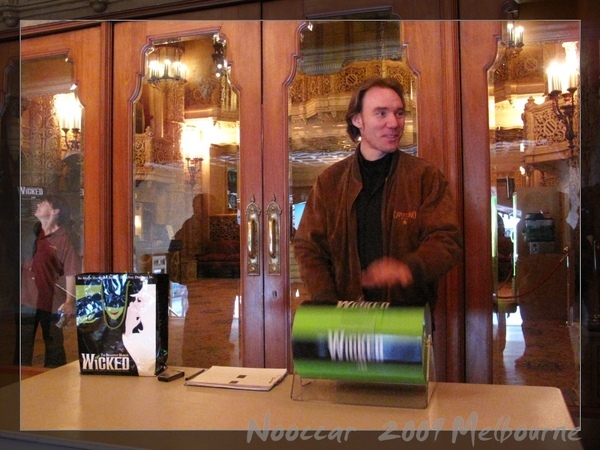 Our names were collected and put into a lovely wicked lottery box. Winners' name were drawn after 30 mins. However, It's not just "good"...It's "PERFECT"! The AAA seat is the first row in the theatre with ~3 m distance away from the stage. It's not too close but an amazing distance to see the performers' face. Their emotional expression and each eye contact were so clearly presented, needless to mention the design of the stage and resplendent costume. People should be familiar with the story of "The wizard of OZ" which tells you about what happened after Dorothy dropped in the wonderland. But seems less attention to the good/evil witches in the story. 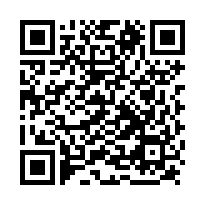 "Wicked, the untold story of the witches of OZ" presents us how Alphaba, the seemed evil witch and Glinda, the good & popular witch have become what they are now. 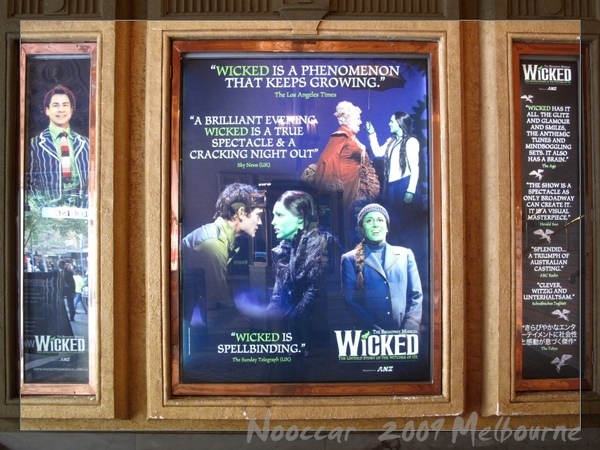 Here is the link to the official Aussie wicked website, all the information you need, especially the lottery rules, can be found here..^^..